It was in New York City, during 1984, when Greg Lewis walked into a coffee importing company on Wall Street looking for work. The small importing firm needed a messenger to run bean samples to and from roasters, brokers and other importers in the downtown area. He was put in charge of the sample room, where he was responsible for roasting and preparing all the coffee samples for the traders and quality control experts to taste or “cup”, grade and evaluate. He soon fell in love with the art of roasting coffee, not to mention his future wife and partner Barbara DiBeneditto, who came to work at the same firm in the traffic department. They became fascinated with the business. Greg was fortunate to be able to sit next to some of the most respected and talented experts in the industry, as they graded and cupped the coffee samples. He learned everything about the coffee bean, the flavors, aromas, qualities, and the science of growing it. Barbara became familiar with all aspects of shipping coffee from its source to its final destination at the roasting plant. And Greg moved from the cupping room to the trading desk at one of the largest Coffee Exporter/Importer companies in the world. He was now buying green coffees from South and Central America and selling to “household name” coffee companies. Throughout this time he continued to cup and grade the coffee he was trading. Eventually, Greg applied for his graders license, and passed the intensive cupping and grading test that would certify him to be a coffee grader, for the Coffee, Sugar & Cocoa Exchange. Greg was also selected to become a member of the quality arbitration panel for The Green Coffee Association of New York City. As a certified grader, he would be called upon, along with two other graders, to settle any quality disputes between buyers and sellers. The panel of three, would taste and grade the coffee, and if warranted, award an allowance to the buyer. This arbitration process or “Coffee Court” is the only way to settle these disputes, since a jury in a regular courtroom lacks the coffee experience. Greg and Barbara traveled to Nicaragua, Costa Rica, Guatemala, Mexico, El Salvador, Honduras, Puerto Rico and Brazil. They learned everything about the process of getting a coffee cherry from a tree, into a bag, and onto a ship. Over the years, Greg got away from the physical side of the business, trading coffee future contracts as both a speculator and a hedging tool against the fluctuating prices of physical coffee. He began to spend an increasing amount of time sitting at a desk, staring at the trading monitors. It was more about studying charts and less about the art of roasting coffee. At the same time the coffee industry was changing. 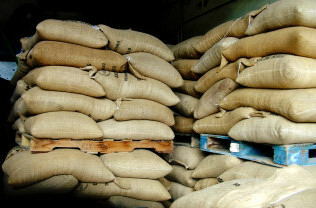 The larger roasters were starting to buy direct from the producing countries and needed fewer quality coffee importers. It was time to try something different. Barbara had long since left coffee for a career in broadcast television, and now it was Greg who decided to pursue a different career passion. They continued to be involved in the coffee industry on a limited basis, but missed the smell of coffee roasting and working the physical product with their hands, just like when Greg was in that first sample room. Greg and Barbara have now truly come full circle, and all these years later, are personally roasting and supplying the best coffees from all over the world. Fair Mountain Coffee Roasters approaches the coffee business like one would approach the wine business. When describing their taste profiles, there are many similar characteristics between the two. Both are extremely complex, when it comes to contributing substances that make up their flavor. With coffee actually having considerably more than wine, around 800 components identified to date. To meet the growing appreciation of these complexities, Fair Mountain Coffee Roasters will strive to supply coffees that exhibit these subtle, rich and favorable qualities. Our coffees reflect a new business, a coffee business that’s good for the farmer, the roaster, the consumer, and the environment. Coffees that are certified organic, fair trade and part of the Rain Forest Alliance. By working directly with the farmers in the producing countries and working closely with the few remaining quality importers, we can consistently deliver great coffees at competitive prices.